Welcome to our online “eCatalog” page. These catalogs contain thousands of apparel and accessory items. 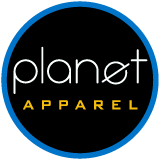 In addition to the dozens of famous name brand apparel lines listed such as Hanes, PING, Cross Creek, Outer Banks, Gildan, Anvil, Bike, Bella, Towels Plus, Flexfit, American Apparel’s Classic Girl, and Fruit of the Loom to name a few, we offer many other brands and items that are not posted online. Please take a few moments to browse through our selection and contact us today to place an order or request a custom quote.